General George Washington Resigning His Commission by John Trumbull, commissioned in 1817. From Wikimedia Commons. 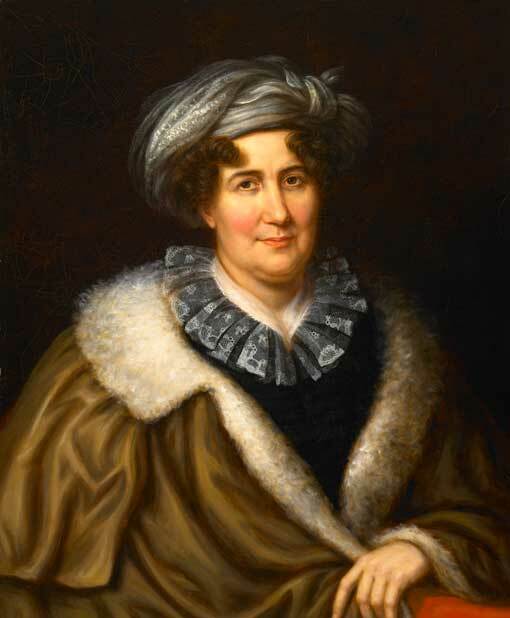 Portrait of Margaret Bayard Smith by Charles Bird King, c. 1829. From Wikimedia Commons and the Smithsonian Institute. On the morning of Mr Madison's inauguration, he asked Mr Jefferson to ride in his carriage with him to the Capitol, but this he declined, & in answer to one1 who enquired of him why he had not accompanied his friend—he smiled & replied, "I wished not to divide with him the honors of the day—it pleased me better to see them all bestowed on him." A large procession of citizens, some in carriages, on horse back, & a still larger on foot, followed Mr Madison along Pennsylvania avenue to the Capitol—Among those on horse-back was Mr Jefferson, unattended by even a servant, undistinguished in any way from his fellow citizens—Arrived at the Capitol he dismounted & "Oh! shocking," as many, even democrats, as well as the British minister M. Foster, might have exclaimed, he hitched his own horse to a post, & followed the multitude into the Hall of Representatives. Here a seat had been prepared for him near that of the new President—this he declined—& when urged by the Committee of arrangement, he replied, "this day I return to the people & my proper seat is among them." Surely this was carrying democracy too far, but it was not done, as his opponents said, from a mere desire of popularity; he must have known human nature too well, not to know that the People delight to honor, & to see honored their chosen favorite; besides what more popularity could he now desire—his cup was already running over & could have held no more.—No, he wished by his example as well as his often expressed opinions, to establish the principle of political equality. After the ceremony of Inauguration, Mr Madison followed by the same crowd returned home to his private house, Where he & Mrs Madison received the visits of the foreign ministers & their fellow citizens. 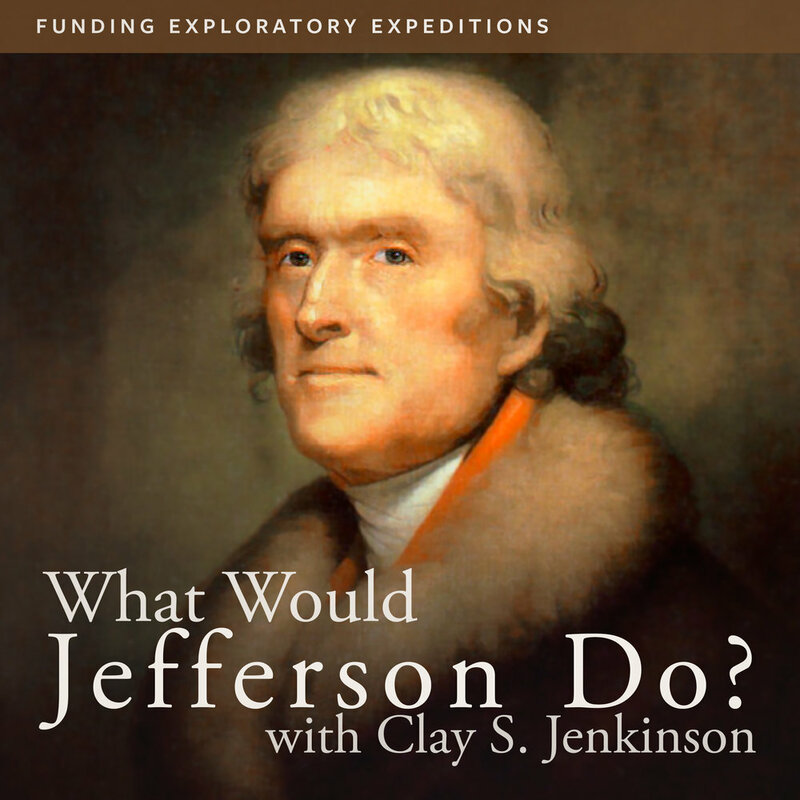 It was the design, as generally understood, after paying their respects to the new President, that citizens should go to the President's House & pay a farewell visit to Mr Jefferson; but to the surprise of every one, he himself, was among the visitors at Mr Madison's. A lady who was on terms of intimacy with the ex-President & could therefore take that liberty, after telling him that the present company & citizens generally, desired to improve this last opportunity of evincing their respect by waiting on him, added her hopes that he would yet be at home in time to9 receive them. "This day should be exclusively my friend's," replied he, "& I am too happy in being here, to remain at home." "But indeed Sir you must receive us, you would not let all these ladies—all your friends find an empty house, for at any rate we are determined to go, & to express even on this glad occasion, the regret we feel on losing you."